Beyond our 18 years of experience in schools, we also support kids & youth mental health related organizations. With approximately 80% of communication being nonverbal, The StoryQ provides a unique tool for reflection, self-discovery & healing in a private, judgment-free way. Kids struggling to communicate and to “tell their story” StoryQ Annual, Anytime Check In and Talk-to-Text Journal interviews Builds emotional literacy in kids. Capturing personal stories & experiences to build awareness, understanding and connection All StoryQ Video Journal Interviews Access to The 5000 Days Project Millennials Film Series Provides self-representation on a deeper emotional and relational level — a story “from the inside out." Quality data collection The StoryQ AI keyword technology provides transcription and anonymous data mining capability A participatory visual research approach. Learning & Professional Development The StoryQ Annual and Anytime Check In Journals A private, judgment free space for councilors, parents and employees to privately process their feelings, reflect and engage. Preservation of cultural heritage All StoryQ video journal applications. StoryQ is the modern equivalent of the oral storytelling tradition. Participants feel empowered by being able to present their perspectives in their own way when creating digital stories. Community development All StoryQ Video Journal applications Facilitates the strengthening and articulation of collective identities. Nine years ago, the 5000 Days Project was invited to the Sunrise Children’s Villages in Cambodia by two visionaries ladies: Australian Founder Geraldine Cox and her American friend, Mary Anne Hatch. 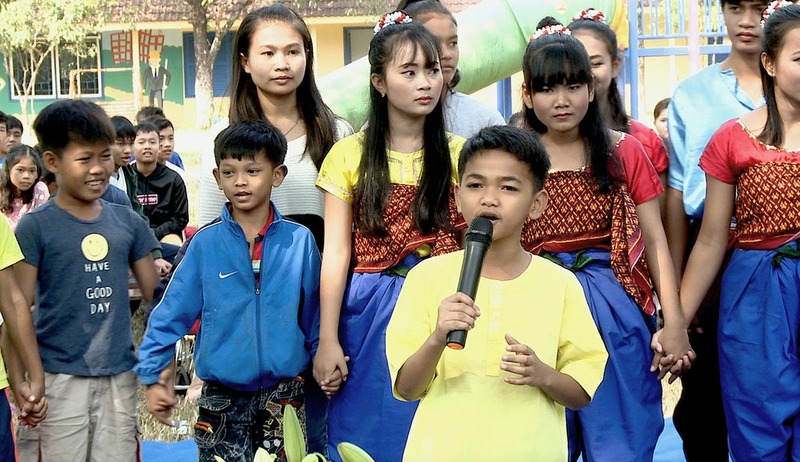 Since Cambodia lacked some basic social services for mental health, they felt the annual interviews help these kids process their painful pasts, grow their self knowledge and discover that they can be the authors of their own lives, not victims. Nine years later, we’re happy to report that these kids have achieved higher EQs than many of their more fortunate counterparts around the world. In the privileged West, kids approach school as a prison sentence having to be served and their main incentive for going is to see their fellow inmates. Despite all of the money spent and the innovative brilliance of western educators, the effectiveness of western education is constantly undercut by this attitude and the disconnect between what kids are learning and why they’re learning it. 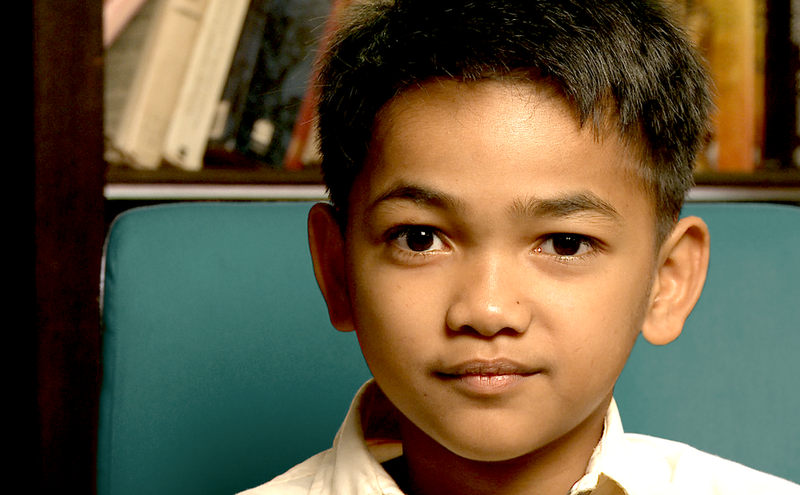 In Cambodia, kids view education as the ultimate privilege and are excited to attend school. Six days a week. Their gratitude quite simply makes learning much easier and more effective. The evidence is in the numbers. Immigrant kids in North America who arrive with the same sense of gratitude consistently score much higher on tests than their jaded American counterparts. Before throwing more money at the problem, we in the west might first attempt a cost-free fix by owning our complicity in our children’s attitude and turning it around. The transformative power of gratitude can be taught. It comes from growing EQ. The 5000 Days Project offers a limited number of ambassador spots around the world. Unlike our video journals, the Ambassador Program involves an in-person film crew to conduct one-on-one interviews annually as well as periodic b-roll filming. Lead by Rick Stevenson, our ambassador interviewers apply the StoryQ Method of inquiry and include professionals with backgrounds in counseling, youth education and documentary filmmaking. Like all 5000 Days video journal interviews, the goal here is to help develop emotional intelligence in the participants. The interviews and the eventual edit remain in complete control of the participant. The final pieces will only be made viewable to others, if the participant chooses to do so. Hunter, an Australian athlete wrestles with who he is, what he wants and where he wants to go along his journey growing up. Watch the first 3 minutes here– Hunter’s full 26 minute ambassador film will be released in Australia this year. Subscribe to our newsletter for information on release date and venue.